Dr. Alrez often recommends and provides dental implants to our patients who are missing one or more teeth. 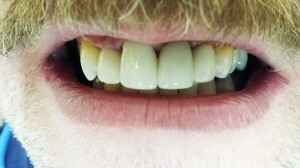 Dental implants have become the gold standard in tooth replacement. Not only do they look and feel closer to natural teeth than anything else they also maintain proper alignment of teeth and jaw strength. Dr. Alrez thinks it is really important for people to understand that bone in the human body is dynamic, which means we are constantly resorbing old bone and reforming new bone but this process only takes place through stimulation. Dental implants are made of titanium and shaped like a tooth root. Since they are embedded in the jaw bone they mimic roots of teeth and actually stimulate the bone in that area! Without either your own tooth roots or dental implants the jaw bone will deteriorate over time. Another solid advantage of this top-notch treatment is a success rate of 98% following one year after placed in the mouth! Now those are some good odds. Dr. Alrez works with highly skilled oral surgeons and periodontists (gum and bone surgeons) in the area to develop the best treatment options for each individual patient. She also works with specific implant manufacturer representatives and dental lab technicians to ensure the best long term outcome. 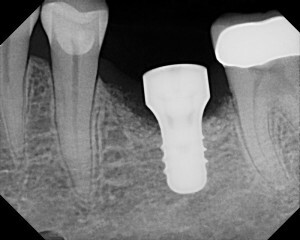 After the actual titanium implant is placed by the surgeon and integrates to the jaw bone Dr. Alrez will finalize by placing a dental crown atop of the implant which will very likely feel like a natural tooth in no time! Although it does takes a bit of time for the implant to fully integrate (typically 3-6 months) the final result is completely worth the wait. 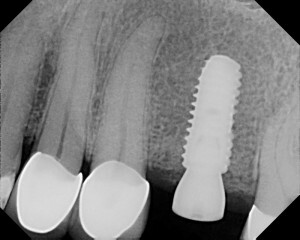 Please feel free to contact us to schedule an implant consultation with Dr. Alrez and to learn more. Dental crowns are made of metal, ceramic or porcelain or even a combination of these materials. Dr. Alrez uses these for teeth that have lost too much natural tooth structure and would not be able to withstand the natural forces of chewing and grinding. 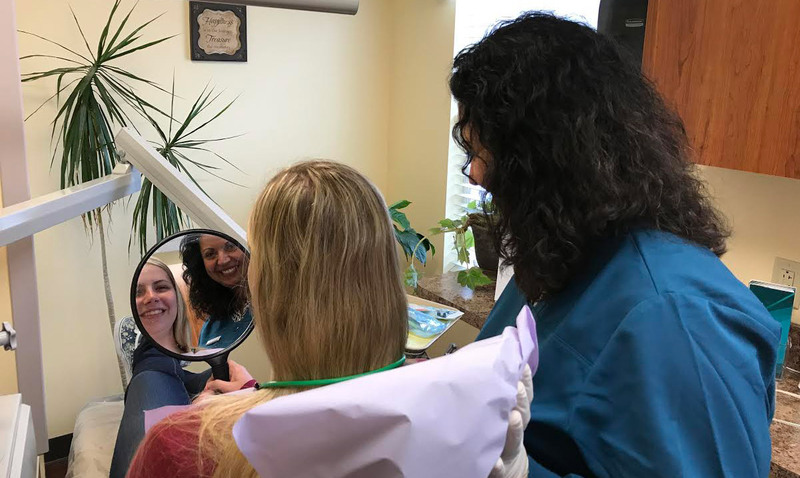 Crowns are routinely made to look just like natural teeth and in some cases, Dr. Alrez will have a dental technician from a local reputable dental lab come right to our office during your visit. When we insert your crown, the technician will glaze the new crown to match so closely to your natural teeth that it will look like a part of you. 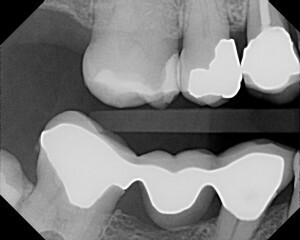 Dental bridges are a series of crowns that are “bridged” together. 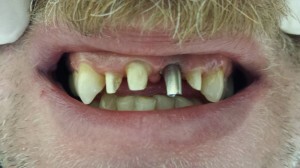 They are splinted together with an artificial tooth (one or more) that is anchored to two crowns or implants. 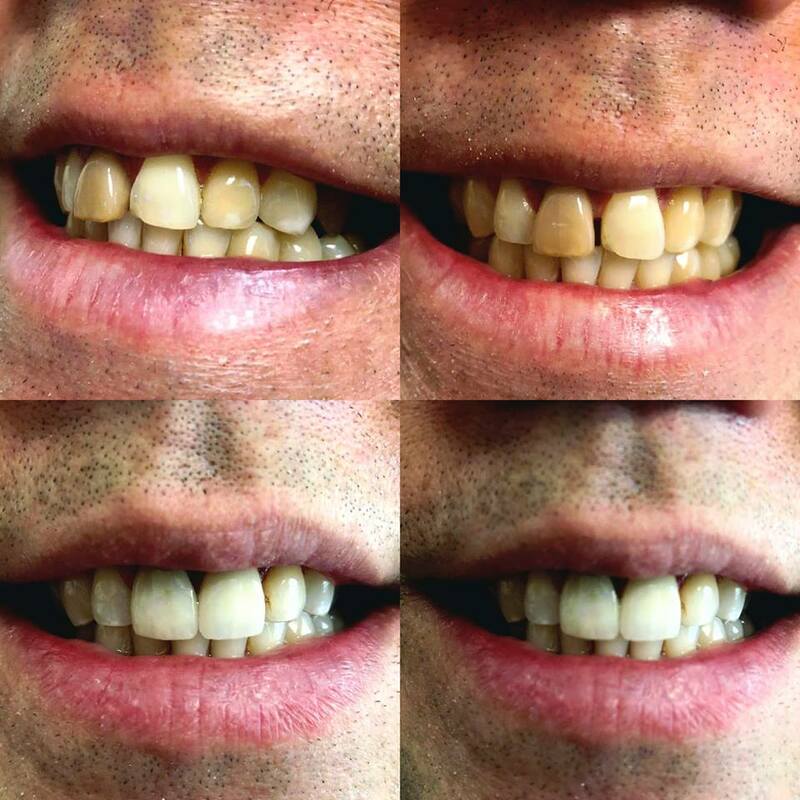 They serve to replace one or more natural teeth and are an excellent option for many people. Typically it only takes a couple of visits to complete and in no time you’re off with a full complement of teeth! Call our office to schedule a time to sit down and discuss replacing your missing teeth with Dr. Alrez.